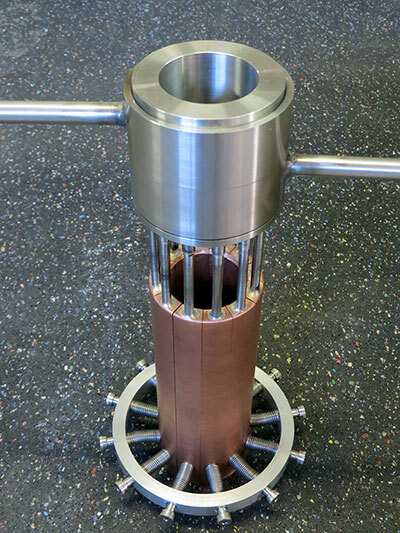 Shown below is a module we built as a customization of one of our standard machines, which is in essence a levitaion cold crucible with no bottom, allowing continuous casting of barstock. 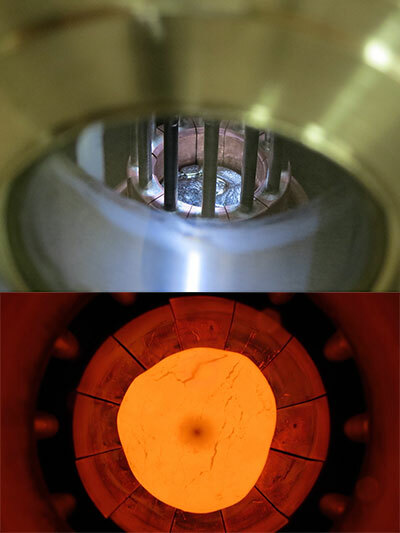 Shown outside its chamber, and inside its chamber after testing, and during its test. See our Continuous Casting page.